The Gymnastics World Cup, which has come to an end in Moscow, was noticeable for the absence of two of Russia's brightest stars – Aliya Musafina and Tatyana Nabieva. ­Aliya Mustafina was probably the most frustrated spectator at the Olmpisky sports complex in Moscow. She had to look on while all her colleagues were competing and unfortunately for the current all-round world champion she is going to be out for the foreseeable future. “It’s going to take me between six to eight months until I’m back to full fitness, but I can probably start very light training in about a month or so,” Aliya Musafina said. Mustafina was not Russia's only star on the sidelines as she was joined by fellow world champion Tatyana Nabieva, who was also out injured. 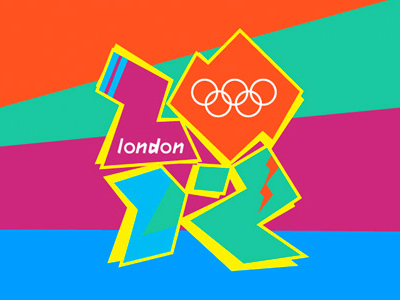 However, the 16 year old, who will only return to fitness in early 2012, is still confident of making the London Olympics. “I don’t think I’m the star of Russian gymnastics. I try not to pay attention to what I’ve won n the past. 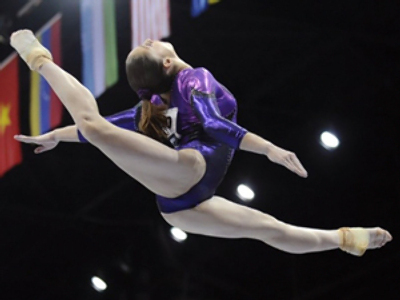 I always put that behind me and look forward to new challenges in the future,” Mustafina added. The field was far from strong, with all the top names from China, the USA and Japan missing. However, there was still some morale boosting performances from Russia's next generation of stars, such as 16 year old Anna Dementieva, who managed to build on her recent success at the European Championships, where she took gold. And Konstantin Pluzhnikov beat fellow compatriot Aleksandr Baldanin to win the men's rings. But despite the strong showing and that Russian gymnastics is probably in its strongest position since the mid 1990s, Pluzhnikov still says there is a lot of work that needs to be done if Russia are to sweep the medals in London. “We’re not the strongest yet as we used to be. We still have to catch up with the likes of China and Japan. However, the world championship is coming up and that will be a good indicator,” he explained. There are plenty of positives for Russia's gymnasts to take out of this event. But all fans of the sport will be praying that Aliya Mustafina will make a speedy recovery as she looks to continue her quest for Olympic gold next year.